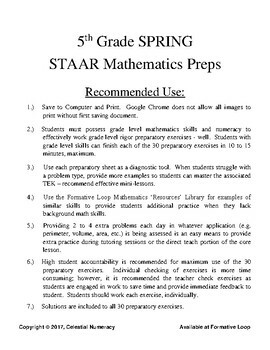 This FREE resource is available for use in your 5th grade mathematics classrooms in Texas public schools. 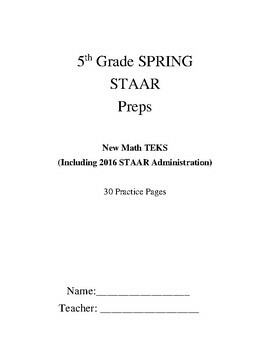 It is updated to include many problem types seen on the 5th grade STAAR 2016 assessment. 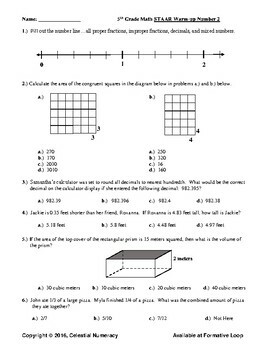 There is a 'Basic Use Recommendation' page and all solutions are attached. 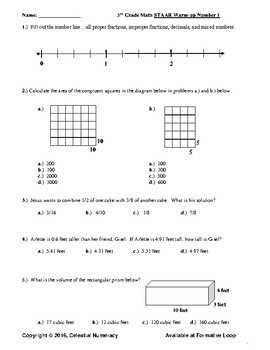 This product supercedes the other 5th Grade STAAR Math Prep - 25 pages on this website.